Dear Optimist, Pessimist, and Realist. 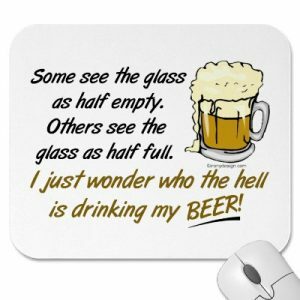 While you guys were busy arguing about the glass of water, I drunk it. 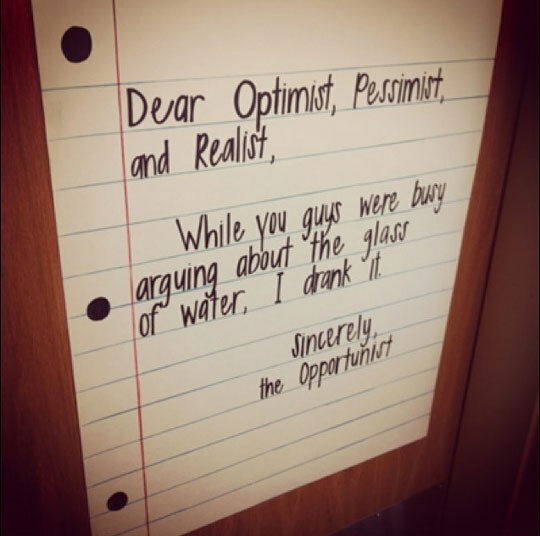 Sincerely, the Opportunist.